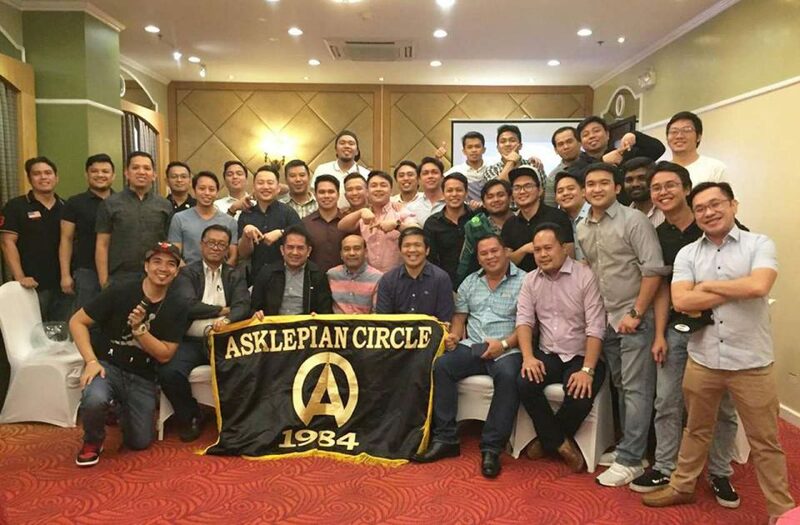 In a world where brotherhood is associated with common goals and aspirations in pursuit of a noble dream, there is nothing as meaningful as the Asklepian Circle, an official school organization in MHAM composed of male aspiring doctors who carried out the abiding mission initiated by the eleven founders who are now full-pledged medical doctors. 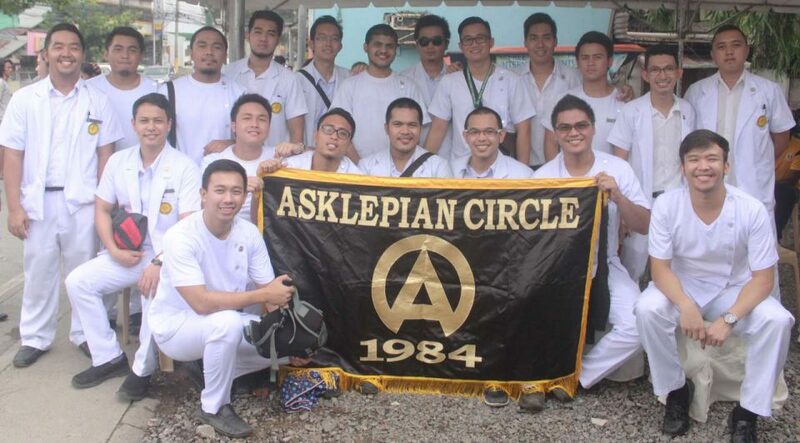 Named after a serpent-entwined rod known as asklepian in Greek mythology bearing a symbol that correlates with medicine and health care, the Asklepian Circle was established in August, 1984 not just to create lifelong brotherhood by helping its members to excel in academics but also to help and serve the community especially the less fortunate and the needy. Envisioned to become leaders and experts with a compassionate heart in the field of Medicine, the school organization on its thirty-five (35) years of service was aimed to inspire the members to achieve their potentials, cultivate their talents, and impart opportunities to their chosen paths in order to build connections with institutions that encourage high ethical standards. 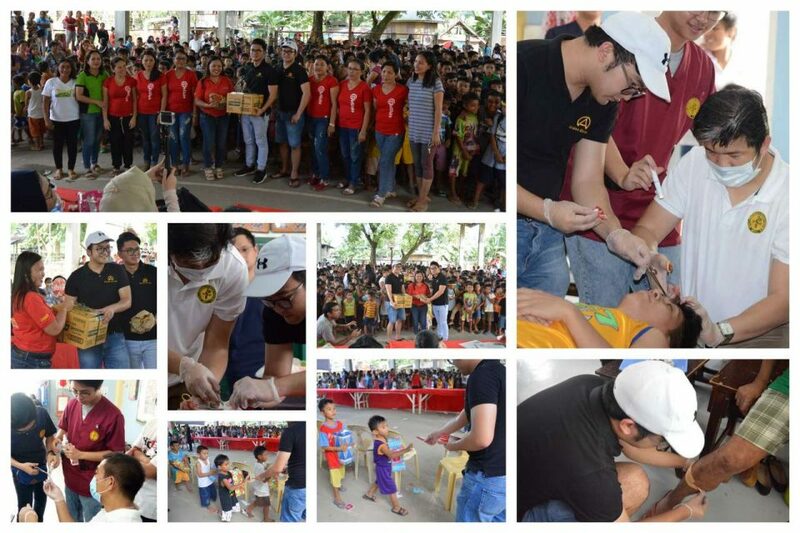 Today, the undivided male group upholds their commitment and passion to serve through humanitarian services including medical missions, feeding program, free circumcision and party for a cause with children in different areas of the city and even outside the city of Cebu. To acknowledge and unfold some of their community extension services outside Cebu City, some of them were part of the MHAM team composed of medical doctors, residents, administrative staff, students and non-teaching employees during the pre-Christmas celebration dubbed as “Pasko sa Kabukiran” Season 2 in Barangay Calidngan, Carcar City, Cebu in 2017. Led by MHAM faculty doctor and certified Asklepian, Dr. Ted Marcerey Gallo, a free minor surgery was availed by thirteen patients during the medical mission which was also assisted by the Asklepian student-members. In addition, they also donated some school supplies and goodies to the Calidngan Elementary School as their earnest way to uplift the spirit of the schoolchildren in a season of sharing and gift-giving. In an interview with the secretary of the organization, Hisham Guinar, he stated that the Asklepian Circle was founded by student-scholars mostly from the batch of the current dean, Dr. Ma. Socorro G. Manaloto. When MHAM transferred to its temporary location at the Redemptorist Plaza, the organization was then supervised by the associate dean for basic Sciences, Dr. Allan R. Librando, who in turn, was highly regarded as an honorary member of the Asklepians. 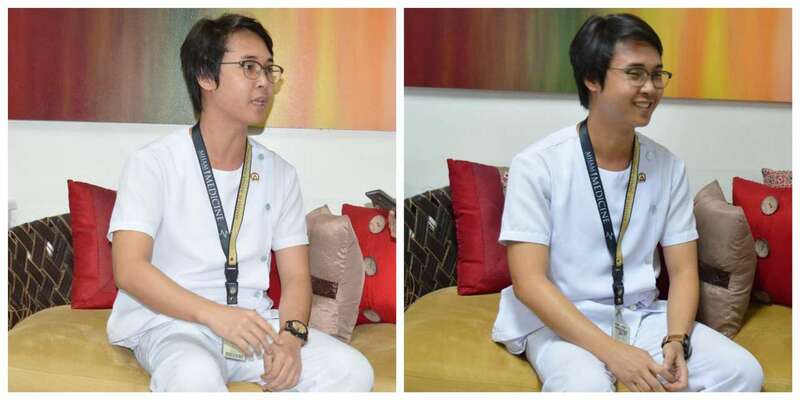 A graduate of BS Zoology from Marawi City, Lanao del Sur, 23-year old Hisham is now on his second year in becoming a medical doctor with a heart. Brotherhood aside, he is also noted with his contribution as a Student Council officer where he served as one of the councilors for academic year 2018-2019. 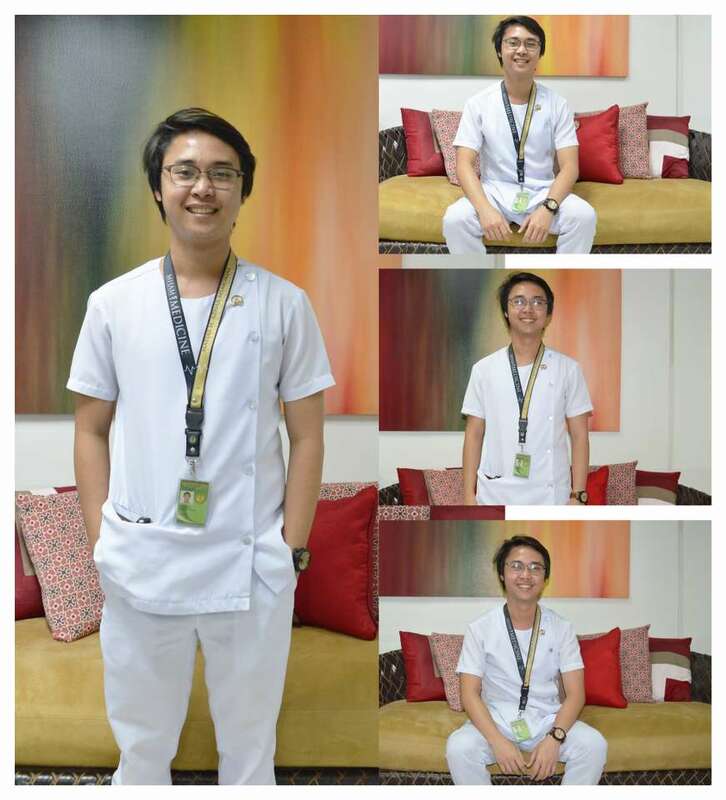 Just recently, he was one of the new set of officers in the SC as the auditor-elect for academic year 2019-2020. “Senior Asklepians provide and impart relevant knowledge to lower classmen which are integral to the medical journey prior to becoming physicians. Bound to become better, every senior needs to extend his support to the aspiring members rooted from experiences and knowledge, the very gifts which are essentials in order to face the travails and challenges in med school. In the end, it creates a network of friendship that will last a lifetime, a meaningful brotherhood that facilitates favorable entry into the next stage of the medical career”, Guinar said. The MHAM Asklepian secretary added that membership pinning and graduation are part of the activities that they are initiating. Having been pledged to join the circle, the aspiring members received a yellow ribbon while a member pin is given to those who are officially part of the organization. “We are trained to think on how to respond to pressure especially to situations that might call for quick thinking and possible ways in the medical field. We usually convene every Friday inside the campus and facilitate each others’ concerns much more in our studies. Unlike other male organizations that practiced harsh measures as part of the initiation period, we are not allowed to conduct disciplinary procedures nor touch each other. The Asklepian Circle was mainly established for us to be prepared, to learn and practice a set of skills we can rely on especially when we are already in our future fields”, cited the Matias student-leader. We Are MHAM. We Are Asklepians. Motivated to fulfill their commitments together in the midst of their demanding schedules, the MHAM senior Asklepians including Joseph Staedler Suello, Saifullah Gandamra, Hisham Guinar, Gabriel Paolo Soriano, Blas Billiones III, Julius Mancol Jr., Laurence Bitoy and Tani Stevenson Telow are also looking forward that their number will be added in the next academic year. To complete, Tani Stevenson Telow of batch Nexus serves as the chancellor among student-leaders while Dr. Ted Marcerey Gallo is the grand chancellor of the MHAM Asklepian doctors. 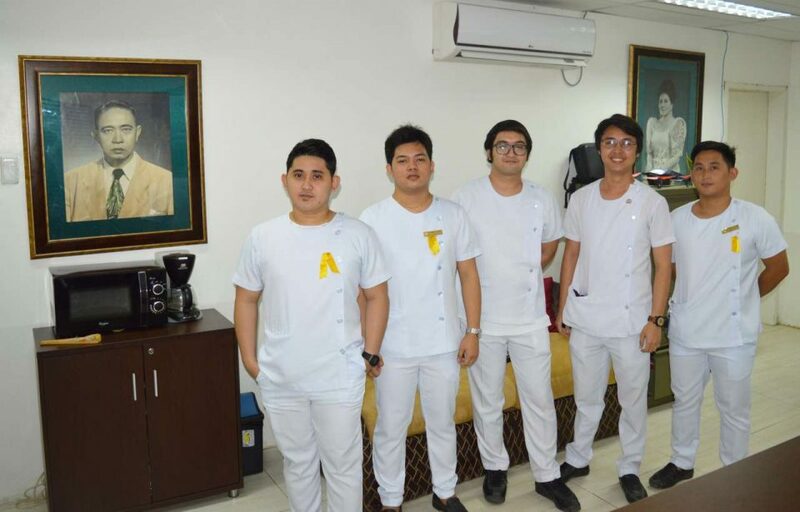 At present, the Asklepians are set to conduct free circumcision to young boys in partnership with other organizations in Cebu to provide medical services to young boys who needs to be circumcised. Joining the MHAM Student Council, Student Advocates for Public Health and Environment (SAPHE), Caduceus Rescue Unit (CRU), MHArMony, MHAM Upbeat, MHAM Acoustics and the MHAM CM Saline Option, the Asklepian Circle is one of the school organizations in MHAM that created student-leaders since it was formed and who have inspired other aspiring doctors to become the channel and bearers of hope in the local and global community. Binded together to achieve their goals and directions with solidarity at its finest, the MHAM Asklepians continued to bring out the core of their identity by supporting each other and by carrying the torch of redefined community service and connections for the greater good.